Share your photos on Instagram with the hashtags #bedtimestorypajamas and #oliverands. Boy's or girl's pajamas. 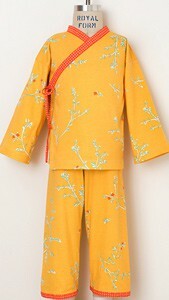 Kimono-style pajama top features band collar, on-seam sleeves, and full-front crossover wrap styling with ties at underarm. Pull-on pajama pants have one-piece legs (no side seam); bound, elasticized waistband casing; and bound hem at leg openings. After successfully sewing this pattern, you will have developed the following skills: bias binding. Light- to medium-weight woven fabrics like quilting cottons, batiste, broadcloth, chambray, denim, flannel, or seersucker; and lightweight linen. Thread, 1 yard 3/4"-wide elastic for the pants. Top Length 11 1/2" 12 1/4" 13" 14 1/4" 15 1/2"
Sleeve Length* 13 1/2" 14" 15" 15 3/4" 16 3/4"
Top Chest 21" 22" 22 1/2" 23" 24"
Pants Length 14 3/8" 15 1/8" 16 1/2" 17 1/2" 20 1/2"
Pant Hip 22" 23" 24" 24 1/2" 25 1/2"
Top Length 17" 18 1/2" 19 1/2" 21" 22 1/2"
Sleeve Length* 18 3/4" 20 1/2" 22 1/2" 24 1/4" 26 1/4"
Top Chest 25" 26" 27" 28" 29"
Pants Length 23 5/8" 26 1/2" 28 1/2" 30 1/2" 32 1/2"
Pant Hip 26 1/2" 27 1/2" 28 1/2" 29 1/2" 30 1/2"
I am an absolute beginner, but oliver + S patterns are so easy to follow, that I recommend them to everyone I know. This pattern turned out true to measurements listed and is the perfect fit. I am sewing especially the pants at the moment, because my girls find them so comfy, that they requested them in a variety of fabrics. I made Christmas pajamas for my little boy. Everything fits like puzzle pieces! I used quilting cotton but may switch to flannel or double gauze for more soft feels. I made a Christmas version of the Bedtime Story pajamas. They fit my daughter perfectly, and she seems to feel very comfort in them! I like the tie in the outside, but next time, I may substitute for a snap on the inside tie. This pattern makes an adorable set of pjs! Very easy to sew, many straight lines. The pattern is original and the result is very nice. Better for younger children in my opinion. Made three different sizes, the pattern instructions are clear, the pieces are quick to stitch. I really appreciated finding a unique style PJ that worked up so easily and looks great. I loved making these for my granddaughter. The pattern is clear and concise and the final result is great. As yet I havent sewn this pattern. I have joined all the pieces together which was very straightforward and the sewing instructions seem very easy to follow. My sons were desperate I finally made them something. A year of self taught sewing behind me I needed something easy with clear instructions. I trusted the positive reviews and I'm glad I did. The bedtime pattern didn't disappoint! The boys chose the bedtime pyjamas and the fabric, and they're very delighted of what turned up! I hardly have the time to wash & dry them. The fit is perfect. I used the measurement table which is highly reliable to cut a different lenghth and width. I am new to sewing, but I felt that this pattern was a cinch to sew! Lovely directions and pictures to guide me through each step. 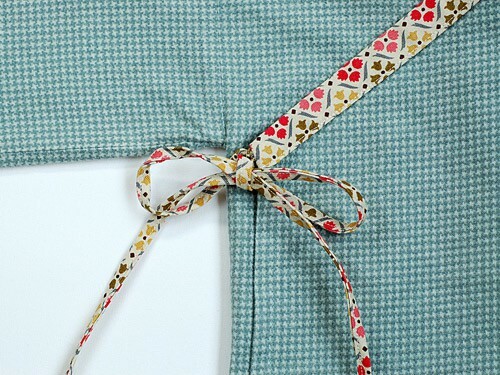 Great for a beginner sewing project or anyone who wants to make cute pajamas! I loved working with this pattern. It was simple and satisfying and fast after the first one. The only trouble I had was with the binding but once I did it my usual way (to sew it to the wrong side first, fold over then top stitch on the right side of the garment) I was happy. Thank you Liesl for another wonderful pattern. Well I am not the fastest at sewing but I manage to finish the pants in 1.5h (pre-cut). I haven't made the kimono yet but the pants are superb - I made 2 pairs for my little boy and he loves them, comfy and cute. Patter itself is great quality - easy to stick together and all notches etc align properly - nice and easy. I will never buy any pajamas again thanks to Liesl! Thank you! bedtime story PJs pants - digital. Overall I enjoyed working with the pattern. The instructions are pretty clear. The the waist band instructions did give me a bit of trouble. I'm new to sewing, but was able to figure it out and my son had PJ bottoms for his school's PJ day. Still need to try and make the top. I have made the pants several times in several of the sizes. My kids are average height, slightly lean, and I find the pattern runs slightly large, which is great because I will get more than one season's use of them. 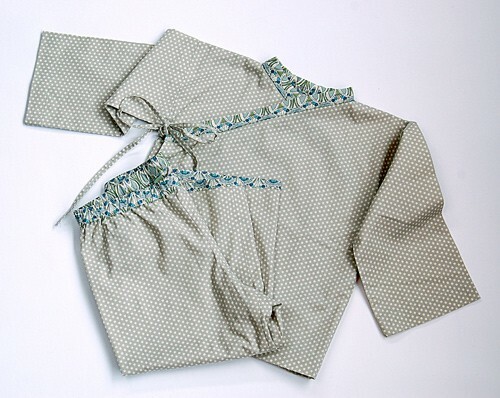 I have only made the top once (to make a matching set of Japanese triple gauze cotton with Liberty floral trim--exquisite!--PJs for my daughter), and it lived up to my expectations. Oh, how I love these pj's! I made all three of my kiddos a pair of these for Christmas this year. They looked to cute on them! They are a quick and fun sew. In the first printed version of this pattern, the Top Chest and the Pants Length measurements were printed incorrectly on the pattern envelope. Please refer to the measurements chart under the "details" tab for the correct values. This error has been corrected in the digital version of this pattern. In the first release of the digital version of this pattern, there was a minor error in the pattern printing instructions section found on page 3. The document said that the last two pages were full-sized pattern sheets and could be set to a service bureau. In fact, only the last page of the document is a full-sized pattern sheet. This error has been corrected in the version of the digital pattern available now. 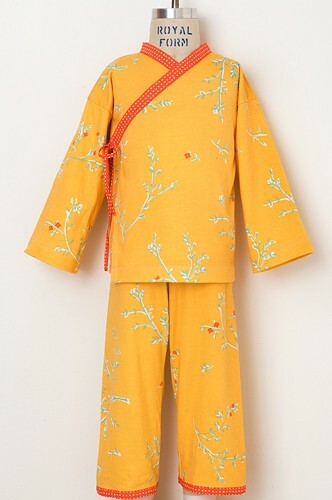 Discussion on the digital bedtime story pajamas sewing pattern from the Oliver + S Discussion Forums. Find and share more photos on Instagram using the hashtags #bedtimestorypajamas and #oliverands.